The ramblings and rumbings of rennaisance man Charlie Thompson: father, husband, welder, water skiier, piano player, engineer, private pilot, horse owner, cat owner, amateur seismologist, amateur photographer, amateur radio operator, forthcoming podcaster, mini-machine shop owner, and MicroRanch maintenance man. 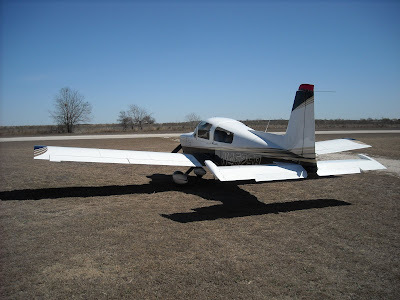 The air strip is 3000 feet long and 40 feet wide. There she stood...in all her glory...almost ready to fly! 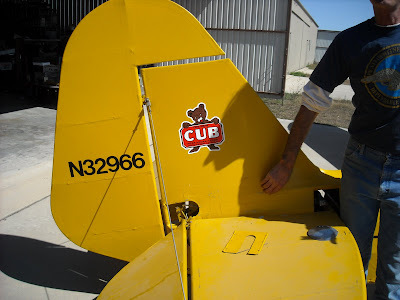 It wouldn't be a Cub without the "Bear"! 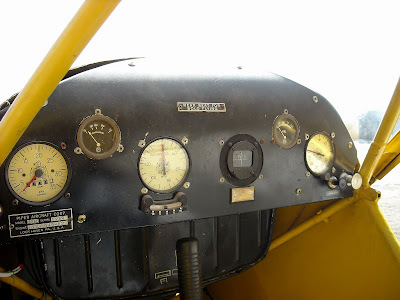 Dead simple instrument panel. VFR-only of course! 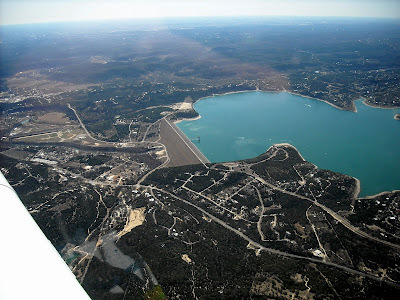 Here's the obligatory aerial photo shot...... Canyon Lake and Dam. Photographed by Charlie on the way down. Autopilot was flying not me. 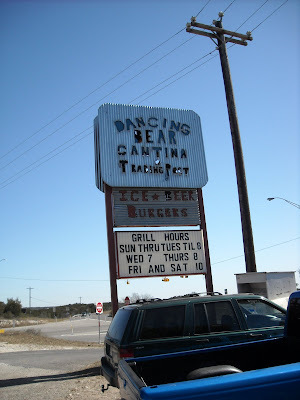 Chester took us for a $100 hamburger at the Dancing Bear Cantina at Medina Lake. 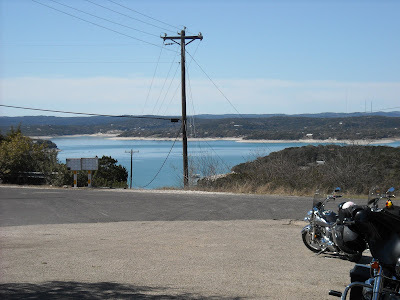 Medina Lake is really low! Indicative of our Central Texas drought situation. 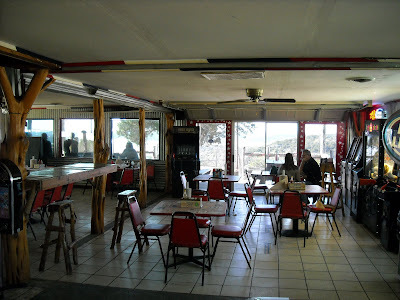 This view is shot from the parking lot of the Dancing Bear Cantina. 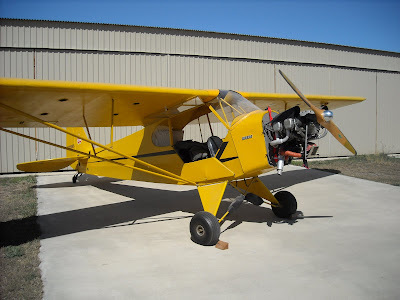 A great time was had by all...a beautiful day of flying! July 4th.....Hey Hey Hey it's the VLA! Raised on the Tennessee River, lived 20 miles from Werner Von Braun, was greatly influenced by the U.S. race to the moon and space in general.